OTTAWA -- By 2030, tuberculosis will be a thing of the past in Canada's North, the federal government promised Friday -- part of a Liberal plan to battle a disease whose disproportionate impact among Inuit can be traced to a colonial history of forced relocations and a decades-long housing crisis. The government is also laying out an interim goal of reducing active tuberculosis in the North by half within the next seven years. The eradication plan is to be led by Inuit Tapiriit Kanatami, which represents the 65,000 Inuit living in Canada, and will focus firstly on preventing deaths related to tuberculosis among children. The prevalence of tuberculosis in Inuit Nunangat -- ITK's preferred term for traditional Inuit territory -- is a legacy of the government's historic indifference to Inuit health and well-being, said president Natan Obed. "Taking family members forcibly away from communities to be put in sanatoria in the South, some Inuit were returned to the wrong communities," Obed said. "When Inuit died, many of those deaths were not recorded and were not told to family members or loved ones. Mothers were taken away from their babies. These were federal government processes that affected us in huge ways. "Inuit leaders will hold Canada to account to ensure that tuberculosis, which is rooted in social inequity, is addressed completely and fully." Tuberculosis is a preventable and curable bacterial infection that can be fatal if left untreated. The disease affects more than 10 million people worldwide every year, and in 2016 Canada recorded 1,737 active cases. Government figures show the incidence of tuberculosis among all Canadians in 2016 was 4.8 cases per 100,000 people, while that number was slightly more than 170 cases per 100,000 people for Inuit living across Canada. 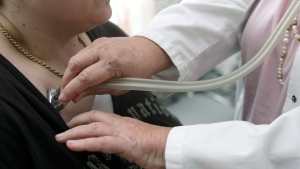 For those living in the North, the incidence of tuberculosis is 300 times higher than among Canadian-born, non-Indigenous people, the government says. Indigenous Services Minister Jane Philpott described the disparity as outrageous and unacceptable, but also "eminently solvable," given available medical technology. "It's difficult, but it's not rocket science," she said. "It should never have taken us so long to get to this day." There were 100 new active cases of tuberculosis in 2017 in Nunavut, whose population is 85 per cent Inuit, along with at least 300 latent cases, Philpott said. If caught early enough, tuberculosis can be treated with antibiotics and typically only requires at most two weeks of quarantine. The higher infection rate among Inuit in the North is in part attributed historical government policies of forced relocation, partly to assert Canadian sovereignty in the Arctic. Oftentimes, Inuit were moved off the land and into crowded, substandard housing, in which the airborne disease was much more easily passed from person to person. "I think it's fair to say that we have lived in a world of denial of the rights of Indigenous Peoples," Philpott said. "We have had policies and practices in this country that have led to these conditions, including things like residential schools, including mass relocation, moving entire communities and the disruption that that causes to families, allowing severe rates of overcrowding, not addressing the human resources gap and essentially living in denial and turning a blind eye to the inequities that exist in our country." The government's most recent budget committed $27.5 million over five years to eliminating tuberculosis in Inuit Nunangat, which includes funding for prevention, screening, diagnosis and treatment. The pledge to eradicate tuberculosis by 2030 was announced ahead of World Tuberculosis Day on the weekend and comes after Inuit and federal leaders met last September to create a tuberculosis elimination task force. The plan will focus not only public-health strategies such as treatment, control and awareness, but also on the social determinants of health that contribute to latent tuberculosis becoming active, including food security, poverty, mental health and nutrition. A stigma has grown around the disease and around the health system that purports to fight it, which has created a barrier to seeking treatment within Inuit Nunangat, Obed said. That stigma includes an aversion to being labelled with tuberculosis and also a mistrust of the health-care system that has caused such lasting damage to Inuit culture and families. 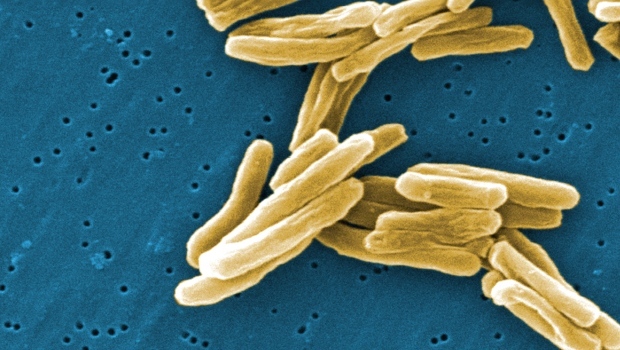 Newfoundland and Labrador's health department announced this week that a teenage boy had died over the weekend from what was believed to be tuberculosis. He was being treated at the time for the disease, though a confirmed cause of death has not been released.